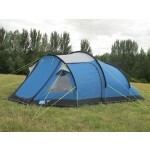 This is a crawl-in height version (great after session in boozer) of the popular Pathfinder 400. 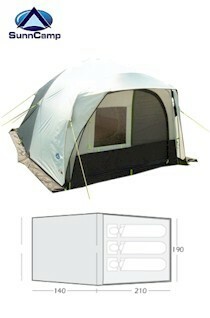 Sleeping three people, the Pathfinder 300 still has also of the same features as its bigger brother - a fully sewn-in groundsheet and a large front door panel that will roll half way to one side and incorporates a front mesh panel with zipped internal curtain and a front window with zipped internal curtain. 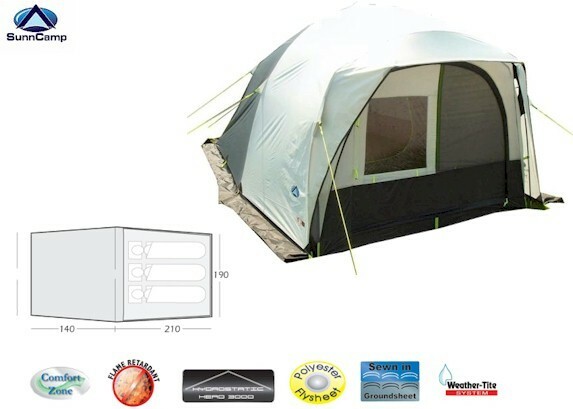 Other features include a cable entry point, cable tidy, 'O' ring hanging point to living area, organiser in main living area, secondary mesh to inner tent door, vented window with zipped external cover to rear of tent, storage pockets to bedroom area, additional valance/mudwall for extra protection, The flysheet is waterproof polyester (3000mm HH) with taped seams and the frame is made from X-Flex fibreglass poles. 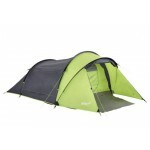 The tent is pitched inner first. 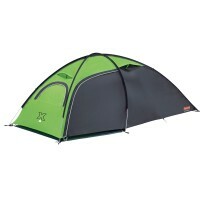 The 2010 model features an improved internal pole construction. 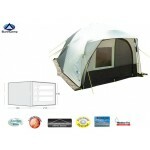 Sunncamp Pathfinder 300 Tunnel Tent.